The Nano Speed 800 moves away from the idea of the traditional racket constructions. Normally, to get improved frame strength, stiffness and therefore power and feel, the frame thickness is increased by adding more and more layers of graphite or carbon fibre for high strength, this adds weight to the frame and makes a racket difficult to manoeuvre. 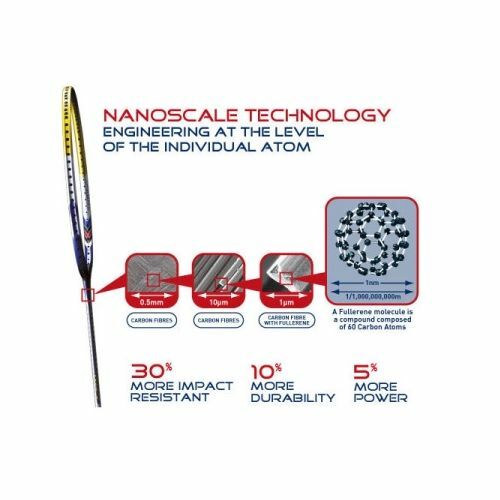 The revolutionary Yonex Nano science takes the frame design back to the molecular level and uses the Nano sized particles of fullerene and carbon to create the same properties in a slimmer more lightweight frame. This process gives a high performance molecular bond which allows the head of the racket to be lighter yet stronger. The result is a very fast head speed creating maximum power. 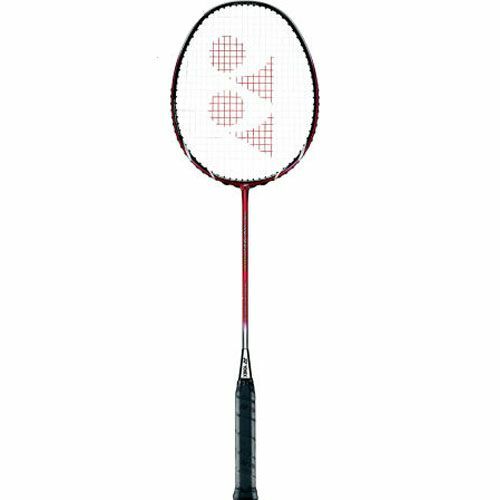 As a result of a combination of the frame Nano science construction, stiff flex shaft and multiple technological inclusions, this Yonex Badminton Racket is ideally suited to a power player of a club/league standard who creates a lot of natural arm speed and power. 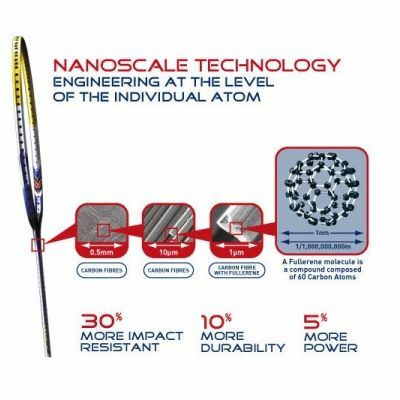 This racket will then result in giving you the true benefits of added power, and makes Yonex Nano Badminton racket 30% more impact and shock resistant, 10% more durable and 5% more powerful than comparable rackets. for submitting product review about Yonex NanoSpeed 800 - Badminton Racket.